You are invited to attend Zucchini organization meeting each Tuesday at 7pm. You are invited to attend our board meetings on the 2nd Tuesday of each month at 6pm. 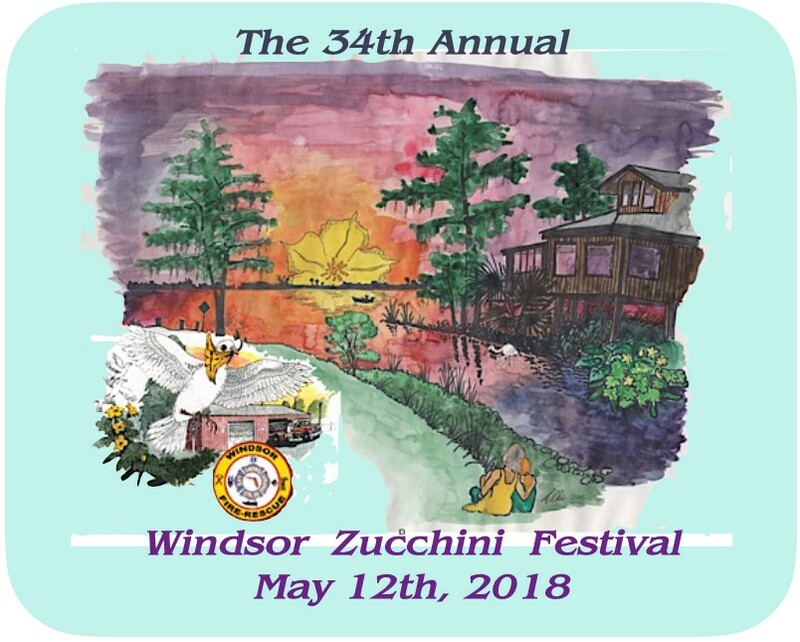 When spring has sprung and zucchinis are spreading on the ground -- once again it will be time for the Annual Windsor Zucchini Festival. Won't you come join us for a day of fun, food, music, and laughter? For general information call Cindy at (352) 372-4875. Benefiting the Windsor Volunteer Fire Department.